To celebrate the start or return of many Bryant Park summer programs, and to introduce our readers to our fantastic partners, we asked our partners to write guest blog posts. This post comes from Ariana Hellerman of Ariana's List, our curator for Wednesday evening Accordions Around the World. My name is Ariana Hellerman and I'm the curator of Ariana's List, a culled listing of free cultural events around NYC. I write about culture: my own and others. I'm a believer that arts should always be accessible to ALL people. In addition to my list, I program public spaces around NYC with free culture and work on community engagement initiatives in the arts. Individual accordionists are stationed around the park. In collaboration with Bryant Park for a third year, I’ve reached out to over 300 accordionists of different musical styles and traditions in the NYC area to create this trip-around-the-world, accordion-style. Each week is a scavenger hunt for the audience – it’s participatory and an opportunity to learn about the many stylings of an often-dismissed instrument. A great documentary on the series was made by Danny’s Guitar Shop. Read, listen, and watch additional press here, here, here, and here. 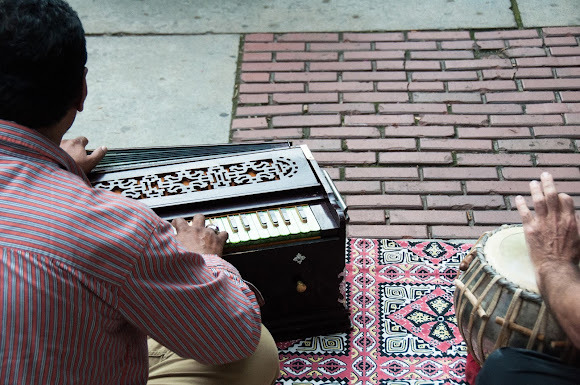 On Wednesdays through August 26, experience accordion traditions from around the world with my fun little project (ok, it’s really not so little with 100+ accordionists participating), Accordions Around the World. 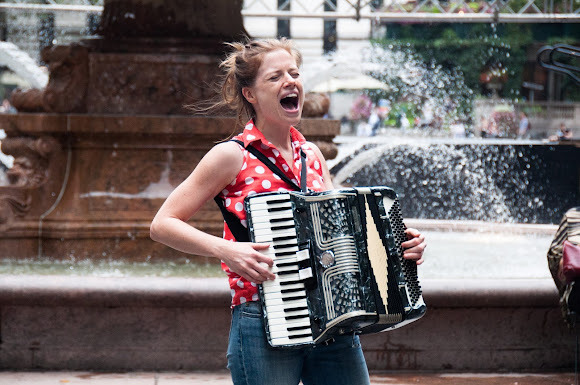 The format is different this year: ten accordionists will play each week in different pockets of Bryant Park. Come for a stroll; leave with a taste of music from around the world. 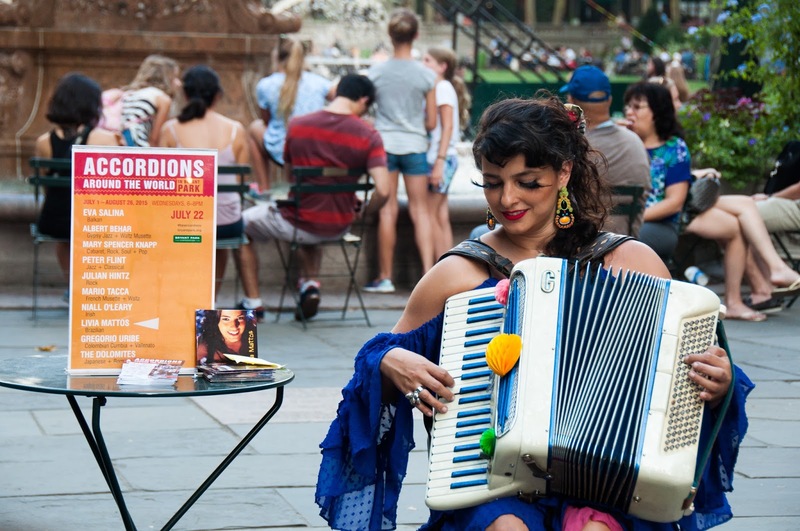 On Friday, August 28th, two days after the end of the traditional series of performances, for the first time ever, we’ll have an accordion festival! Six bands (all with an accordion, of course! ), will play from 4:30 – 10pm. Sample Cajun, Slavic, French, Argentine, Colombian, and Irish music, with solo accordion interludes during the transitions. It’ll be a good time. I hope you’ll check it out. Some of the soloists sing as well. Please, please come visit, enjoy the accordion (trust me – it is possible! ), and come say hello. It’s one of my biggest joys. I’m the blond girl, running laps around the park, with camera in hand.